In an analysis of charts of 72 adult patients CBD improved anxiety and sleep. This large retrospective case series was conducted by scientists of the Department of Psychiatry of the University of Colorado in Denver, USA. The primary concern was anxiety in 47 patients per sleep in 25 participants. Anxiety scores decreased within the first month in 57 patients (79.2%) and remained decreased over time. Sleep scores improved within the first month in 48 patients (66.7%) but fluctuated over time. With the exception of3 patients CBD was well tolerated. 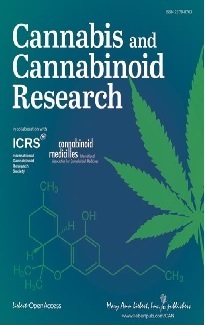 Authors concluded that cannabidiol may hold benefit for anxiety disorders. However, the study is not able to prove a causal relationship since the information on cannabis use is based on the statement of the children. The new findings are a step toward understanding the impact of cannabis on young brains, said Dr Michael Lynch, a toxicologist and emergency medicine physician and director of the Pittsburgh Poison Center at the University of Pittsburgh Medical Center. “It’s important that there was a change,” Lynch said. “But I don’t think we can make a final determination on that from this study,” he added. According to a survey with 392 participants suffering from different medical conditions medical cannabis users reported a greater degree of trust in cannabis compared to standard medication, researchers of the Population Studies Center of the University of Michigan wrote. In comparison to pharmaceutical drugs, medical cannabis users rated cannabis better on effectiveness, side effects, safety, addictiveness, availability, and cost. Due to the medical use of cannabis, 42% stopped taking a pharmaceutical drug and 38% used less of a pharmaceutical drug. 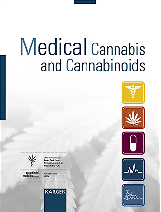 A substantial proportion (30%) reported that their treating physician did not know that they used medical cannabis. The Ecuadorean Congress will soon hold a second debate session of a new Organic Code of Health that incorporates the permission of therapeutic use of CBD extracts. The average price for a legal gram of cannabis was 9.7 Canadian dollars in the past year. This is nearly 50% higher than cannabis from the black market. Statistics Canada, a federal authority, says it looks like Canadians are still turning to the black market, and claims things such as widespread cannabis shortages, delivery delays and issues with websites may have been contributing factors. Researchers demonstrated for the first time that CBD reduces THC induced cognitive impairment in an adenosine A2A receptor (A2AR)-dependent manner. They found heteromers of A2 AR and the CB1 receptor in certain nerve cells in the hippocampus, a brain region relevant for memory among others influenced by CBD. Heteromers are combinations of 2 or more receptors. It had been demonstrated that THC may reduce pain both in the central nervous system and in the periphery. In mice researchers demonstrated that the “peripheral analgesic effects of cannabinoids depends on activation of BK channels.” BK channels are calcium-activated potassium channels. In a study with mice the sleep inducing effects of pentobarbital were increased by a simultaneous administration of THC. CBD as well enhanced pentobarbital -induced sleep. The effect of THC was mediated by the CB1 receptor, while CBD acted through other mechanisms. Faculty of Pharmaceutical Sciences, Hokuriku University, Kanazawa, Japan. In several animal models of epilepsy the plan cannabinoid cannabidivarin (CBDV) showed therapeutic value for early life seizures.